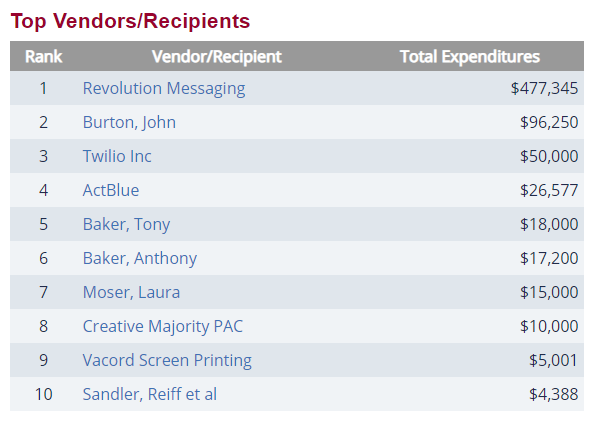 In November 2018, the Capital Research Center’s (CRC) Hayden Ludwig reported on a major digital consultancy firm, Revolution Messaging, and its questionable financial relationship with Creative Majority PAC (CMPAC). At that time, Scott Goodstein controlled both organizations. 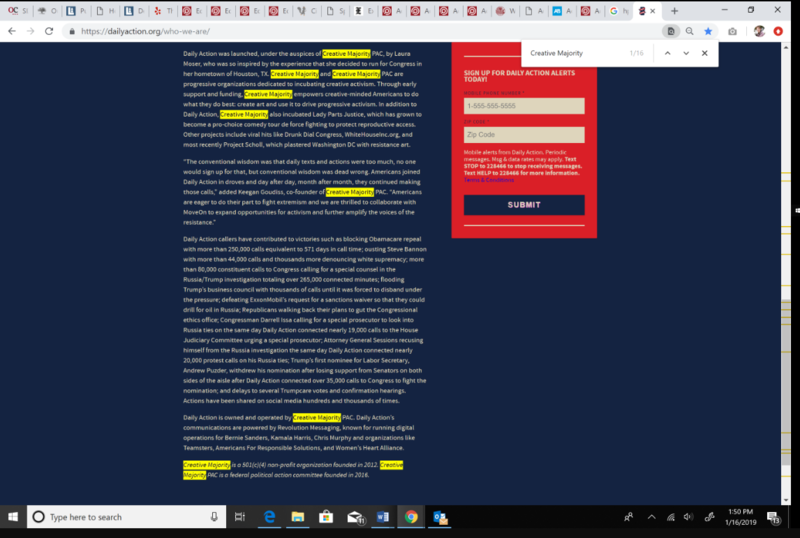 It then resembled what CRC’s Michael Watson refers to as a “scam PAC”—a political action committee (PAC) soliciting small donations and spending most of its money on a vendor operated by one or more of the PAC’s board members. 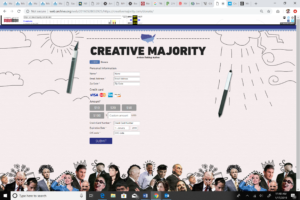 What CRC discovered was, in fact, far more suspect then a mere scam PAC: a phantom 501(c)(4) nonprofit by the same name, Creative Majority (CM). The for-profit firm, Revolution Messaging, most notably assisted Sen. Bernie Sanders’ (I-Vermont) competitive 2016 Presidential primary campaign as well as Robert “Beto” O’Rourke’s Texas Senate campaign against Republican incumbent Ted Cruz. While influential in Democratic circles, Goodstein’s outfit seems suspicious when Federal Election Commission (FEC) documents show that it received $467,000 from CMPAC, 66 percent of the PAC’s total election spending in 2017-2018. It also reveals that both the firm and the PAC share the same office on Connecticut Avenue in Washington, D.C.
That coincidence alone would raise most eyebrows, but the same FEC filing shows that CMPAC gave $10,000 to “Creative Majority,” with no other information than an address on Rhode Island Avenue in Washington D.C. This discrepancy made CRC’s researchers curious. The Center for Responsive Politics’ Open Secrets database states that the $10,000 donation went to Creative Majority PAC, indicating that Creative Majority PAC gave $10,000 to itself. That is certainly an odd reporting. One of CMPAC’s projects, Daily Action, reported that while it is currently run by the PAC, it was incubated by CM, the 501(c)(4) nonprofit. 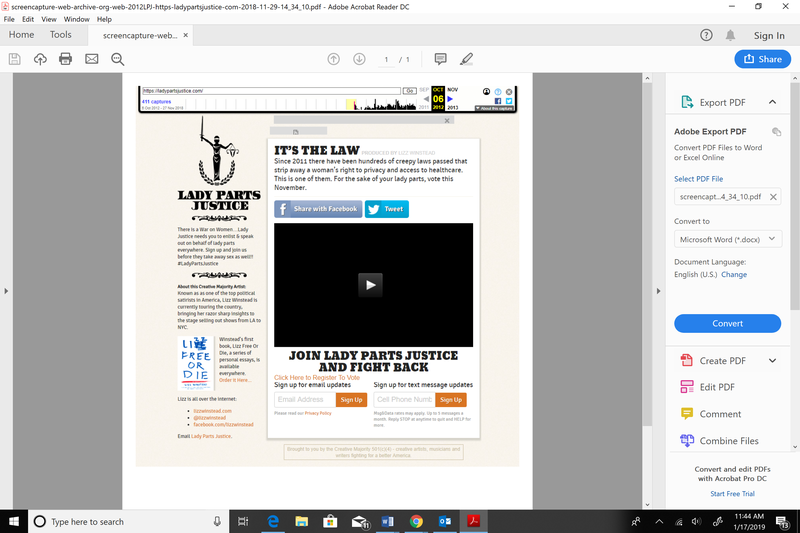 At the bottom of Daily Actions’ web page, it even makes the distinction between the PAC and the nonprofit; it notes that CM was started in 2012 and had also incubated another project “Lady Parts Justice” (LPJ). You would be hard-pressed to find the CM with a mere Google search; the page does exist, and includes its own separate project called Project Scholl, and solicits donations using ActBlue Civics (a mainstream vendor for the professional Left). 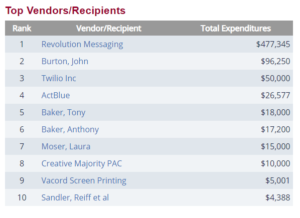 It’s clear that a Scott Goodstein-run political organization has existed for six years, taking donations and at least $10,000 from the PAC—but that’s where the information trail runs dry. Essentially, there is no record that Creative Majority legally exists today, or ever legitimately existed as a tax-exempt nonprofit. But this is a group that updated its donation page to use ActBlue services (which had previously used its own donation page until as late as 2016). This shows that the nonprofit is being maintained despite its otherwise uncertain legal existence. If this is an illegitimate nonprofit, then the lie is being supported by a major Democratic vendor. ActBlue provides fundraising services and support to a large swath of left-wing groups. Furthermore, suspicious organizations such as CM and its projects are given a de facto seal of legitimacy if a large and reputable organization like ActBlue services it. Every corporation, even a nonprofit, must file an application with its home state, and since Scott Goodstein has always stayed local to D.C., CRC looked at D.C. business applications. CRC found that Goodstein filed a business under the name “Creative Majority” in 2012. 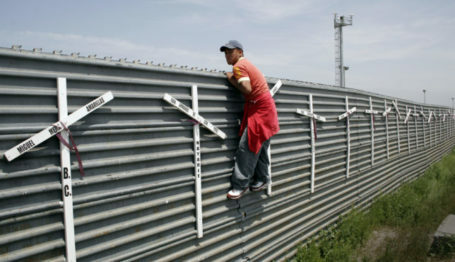 The application was revoked at an unspecified date, but a search turns up only one report from the corporation in 2013. Furthermore, the IRS not only lacks any copies of CM’s 990 tax documents, it does not even have CM listed as an organization that lost its tax exemption. According to the IRS, this phantom nonprofit never even existed. Nevertheless, the website says otherwise. Found on Wayback Machine, CM’s website shows records of its continued presence as early as 2015—before CMPAC was founded. 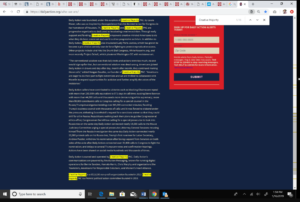 The early website reports itself as a 501(c)(4), and includes Scott Goodstein as the treasurer and Arun Chaudhary as the President. Chaudhary is a current partner at Revolution Messaging. The aforementioned LPJ dates back to 2012, and at the bottom of its page it did report that is was created by Creative Majority. LPJ is a comedy tour critical of conservative views on abortion and birth control; and since its inception, it has also had a 501(c)(3) public charity affiliate called Lady Parts Justice League (LPJL). In 2015, the 501(c)(3) leftist New Venture Fund incubated LPJL, likely providing fundraising assistance. 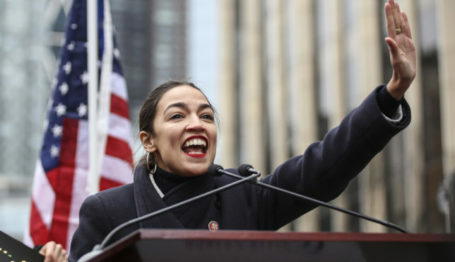 The New Venture Fund often works in tandem with its sister organization, Sixteen Thirty Fund, so there is a distinct possibility that one of the largest left-wing advocacy groups managed a project originally created by a phantom nonprofit. By 2017, LPJL moved from the New Venture Fund to the 501(c)(3) NEO Philanthropy and the original LPJ became an independent nonprofit organization. Despite changing owners like a game of hot potato, it all came from CM, an organization that may have never legally existed. By June 2018, Scott Goodstein, the founder of Revolution Messaging and the Creative Majority organizations, resigned from Revolution Messaging amid speculation that the office had a poor internal culture. There were serious allegations that the organization retaliated against a female employee who accused a coworker of sexual assault in December 2015. The culture was apparently so bad that the organization was one of the first D.C. political consultancy firms that unionized. 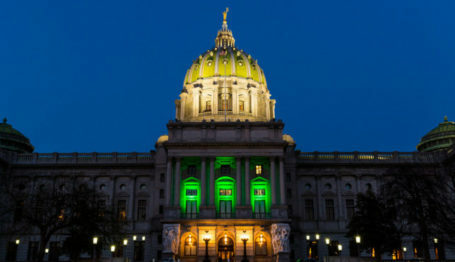 Despite that, Goodstein remained in leadership until mid-2018 and remains a partner. Revolution Messaging’s issues bubbled up just as Creative Majority became less visible. In 2016 Goodstein created CMPAC. This is true even up to 2017 when it received $10,000 from the PAC for no apparent reason. CM has been active even in its hiding. What little can be found still indicates that the nonprofit works with the projects supposedly run by the PAC. CM PAC’s White House Inc. is a project to mobilize people to drunk dial the White House and demand President Trump’s tax returns. 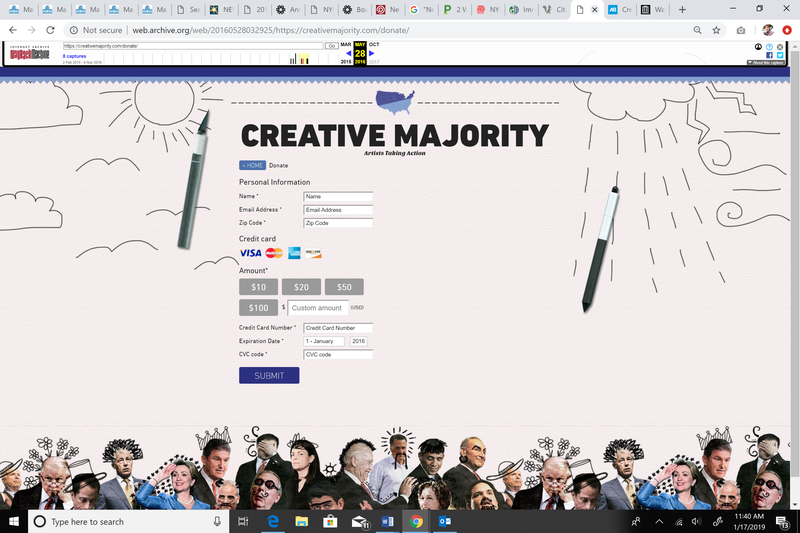 It says the program was paid for by the PAC, but the email for questions ends with “@creativemajority.com” which is the URL for the nonprofit and not @creativemajoritypac.com. The only record that the nonprofit even exists today is an FEC record of money changing hands, going from Connecticut Avenue to Rhode Island Avenue. FEC filings from 2016 show that the Rhode Island address was originally the address of Revolution Messaging and CMPAC, but the filings would indicate that the firm and PAC moved while the (c)(4) remained.